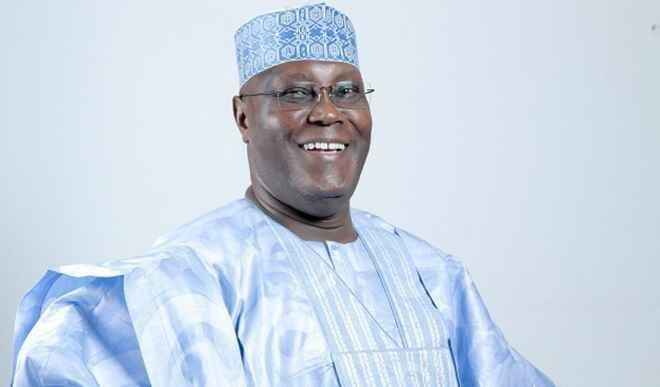 The Peoples Democratic Party (PDP) declared yesterday that former Vice President Atiku Abubakar might not vote during its national convention billed for this coming Saturday. Making reference to the party’s constitution over his eligibility to vote at the convention, the party noted that Atiku would however be allowed to attend and address party members at the convention. This is even as PDP BoT chairman, Walid Jibrin, has said that the party is waiting for Senate President Bukola Saraki, Speaker Yakubu Dogara and other Senators and members of the House of Representatives to return to its fold the way Atiku did. He further added that the All Progressives Congress (APC) should be grateful to Atiku for not tearing the membership card of the party like former President Olusegun Obasanjo did to signal his exit from PDP. deals on procedure for rejoining the party states: “A person who desires to rejoin the party after leaving it shall – (a) apply to his Ward Secretary for re-admission; and (b) unless given waiver by the National Working Committee, be placed on probation for a period of not less than one year. such meetings, nor shall he be eligible to contest for elective of ce on the platform of the Party”. Asked whether Atiku is eligible to vote, the national publicity secretary of the party, Prince Dayo Adeyeye said, “All you need to do is pick up the constitution of the party and see whether Atiku is quali ed to vote or not”. When pressed further, he said, “First of all, I can tell you that we are happy with Atiku coming back to the PDP. It’s very exciting for all of us. It’s a good omen to everybody in the PDP. “He was one of the founding fathers, one of those who built this party and he’s coming back home. His room was never occupied. So, we have opened it for him. “He will be part of this convention. He will even make a speech at the convention but he may not be voting at the convention”. Adeyeye further alleged that some people serving under the President Muhammadu Buhari administration are trying to disrupt their convention. He added that those behind the plot know that if it is successful, their days in government will be numbered. Adeyeye who said they have no evidence of Buhari’s involvement in the move however appealed to him to stop his aides. The PDP spokesman didn’t reveal the individuals involved in the alleged move to disrupt the convention. He said, “I want to draw your attention to an issue that bother us. We have credible information that some overzealous elements in the government are trying by any means to disrupt the convention of the PDP to make sure this convention does not hold successfully. “They have been trying every effort but we are happy that we have no information that it is coming from the very top. But some overzealous elements in the administration are bent…It is a very credible information and they are doing everything possible to make sure that this convention is disrupted. “They are afraid that if the PDP should hold a successful convention, their days in government are numbered. By the time we hold this convention and our of officers are elected and they take office next year, there will be a floodgate of people even from APC to the PDP. “This is a credible information and that is why we are appealing to President Muhammadu Buhari to please rein in his aides. We have no evidence that the president is aware of this. “It is happening and we are calling on him to do his own investigation and to call those who are trying to cause this problem to desist because it is capable, not only of destroying this democracy, but also of destroying the country”. On his part, chairman of PDP’s BoT, Sen Walid Jibrin, said “As the party joyfully welcomes Atiku back to his home PDP, we are equally waiting to receive more members of the APC, including Sen. Kwankwaso, Senators, members of the House of Representatives, President of the Senate, Bukola Saraki, APC governors who had earlier left PDP. Thereafter, all of us would unite to take power from APC come 2019”. On Atiku’s defection, Jibrin said, “APC should remain grateful to Atiku Abubakar, the Wazirin Adamawa, for peacefully resigning with respect without tearing their party membership card, unlike our former president, Chief Olusegun Obasanjo, who after ruling Nigeria under the PDP for eight years and after serving as the chairman of the BoT for about Two (2) years, disgracefully tore his membership card”. He added that it is too late to micro-zone the position of national chairman “considering that after more than Eight (8) aspirants have purchased the forms and are right now about to be screened by the Special Screening Committee. “They should be allowed to test their fame through the primaries that is about to start on the 9th-10th December 2017. I want to assure our party members that whoever emerged the National Chairman, the BOT is ready to cooperate and work with him for the progress of the party. I wouldliketoreiterateour position that BOT has not anointed any candidates for now”, he added. Meanwhile, the party has technically barred the states of Anambra and Osun from taking part in the convention because of internal squabbles within the party chapter of the two states. Meanwhile, former military president, Ibrahim Babangida, has expressed con dence that the Governor Ifeanyi Okowa- led national convention organising committee of the PDP will conduct a process that would be devoid of any rancor. He spoke when the convention committee chairman and Delta State governor led the chairman of the caretaker committee of the PDP, Ahmed Makar , and other top of cials of the party to pay him a visit at his hill top residence in Minna, Niger State. He said, “I have here the chairman of the caretaker committee, former chairman of Kaduna State, the chairman of convention planning committee, the governor of Delta State with the offcials for the convention. “I am glad they are working hard and I have seen that they want to make sure that the convention of the PDP is rancor-free, transparent and everybody will be given a level playing ground”. The former Nigerian leader expressed hope that “PDP will see one of the best convention like never before”. On the return of former vice president Atiku Abubakar to the PDP, IBB said, “He is a Nigerian; he is allowed to go to any party and our constitution allows it. So, it is not new and there is nothing wrong for a politician to move from one party to another”.